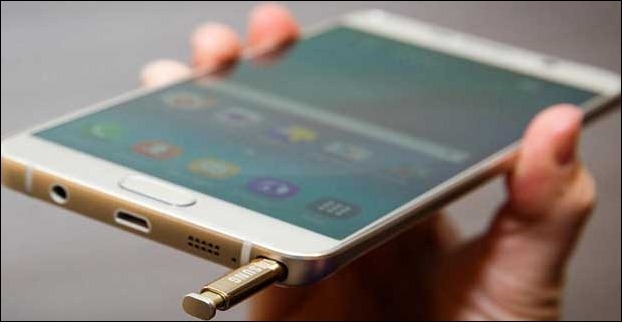 The Korean smartphone maker Samsung has launched the dual-SIM variant of the Galaxy Note 5 smartphone in India. The Samsung Galaxy Note 5 Dual SIM has been priced at Rs. 51,400 and will be available to buy via Samsung’s India e-Store. At the same time, the company has announced also a price cut for the single-SIM version of the Galaxy Note 5. The 32GB storage variant of the Galaxy Note 5 will, now, be available for Rs 47,900 whereas, the 64GB storage variant will be available for Rs 53,900. In terms of specifications, the Samsung Galaxy Note 5 Dual SIM smartphone features a 5.7 inch Quad HD Super AMOLED display with a pixel resolution of 2560 x 1440 and a pixel density of 515ppi. The smartphone runs on Android 5.1.1 Lollipop based TouchWiz UI on top and is powered by Samsung’s 64-bit Exynos octa-core 2.1 GHz quad-core and 1.5 GHz quad-core processor aided by 4 GB of LPDDR4 RAM. On the camera front, the smartphone houses a 16-megapixel rear camera with f/1.9 aperture and optical image stabilisation. Besides, the device also sports a 5-megapixel front-facing camera. In terms of connectivity, the Samsung Galaxy Note 5 Dual SIM supports 4G LTE, Bluetooth 4.2 LE, Wi-Fi 802.11 a/b/g/n/ac, NFC, GPS/GLONASS, microUSB 2.0 and so on. Furthermore, the smartphone also features fingerprint sensor and heart rate monitor. The device is fuelled by a 3000mAh non-removable battery with Fast Charging technology. The dimensions of the Samsung Galaxy Note 5 Dual SIM are 153.2 x 76.1 x 7.6 mm and weighs 171 grams. The handset comes in Gold Platinum, Black Sapphire and Silver Titanium colour variants.